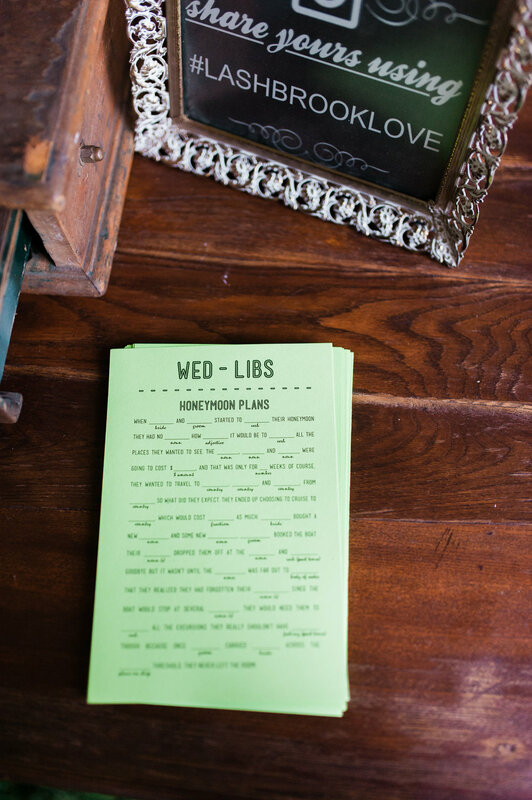 Liesl and Erik had a relaxed approach when it came to planning their wedding last November. 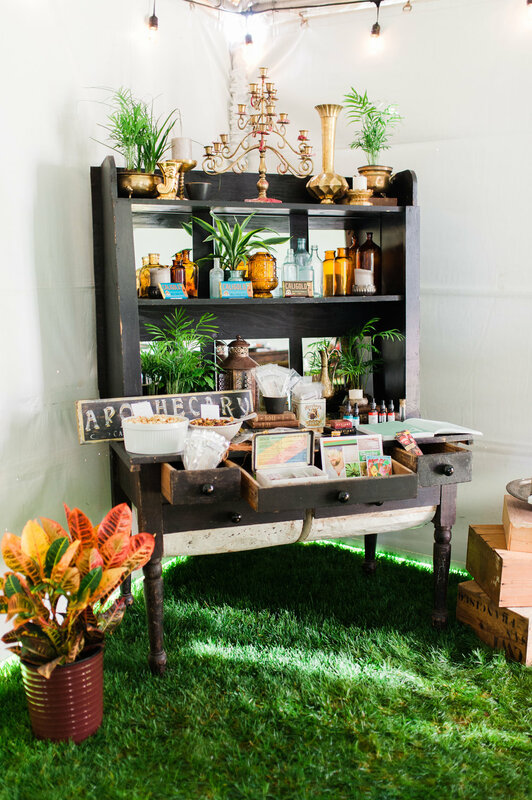 They gave us their "must-haves," and then passed off planning to the fantastic team of vendors. 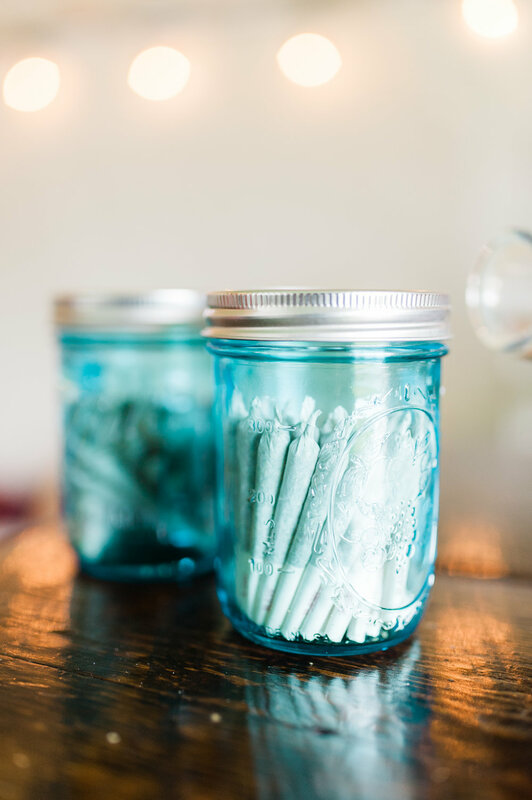 Their vision included Oregon-inspired aspects for their out of town guests to enjoy, a killer brunch, and a cannabis feature. With a brunch wedding at Barn Kestrel we had to make the most of what the space had to offer. As guests arrived in the morning, they were greeted inside the barn with coffee and pastries prior to being seated on wooden benches for the ceremony. The aisle was adorned with various rugs from Classic Vintage Rentals. The altar, created by Blum, arched over the couple as they said their vows. Cocktail hour took place in the garden outside of the barn. Devil's Food served up mini quiches, fruit and cheese platters, and "Bloody Mary Jane's" (made with Cannabis-infused vodka). After cocktails, guests made their way back into the barn where Erik's father's band was playing. Guests enjoyed fried chicken, crispy potatoes, and salad. Dinner was served on long wooden tables decorated with mixed china and colorful glassware. 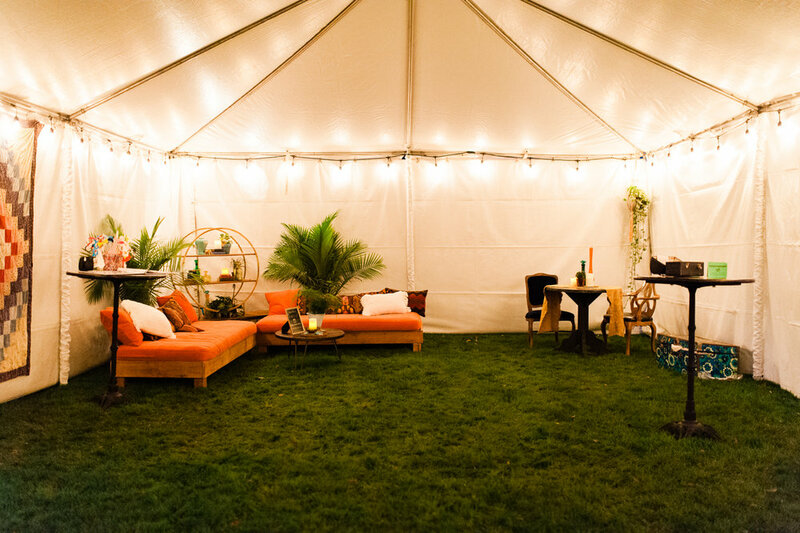 Guests were free to return to the garden where they could play poker with a cigar, or visit the weed tent that featured a budtender and an ice sculpture bong. A family friendly area included activities for the little ones and lounge areas for the adults. The lounge vignettes from Classic Vintage Rentals were especially unique, as they consisted of specially upholstered, colorful cushions among handmade benches. The evening concluded with the newlyweds leading a 4:20 smoke break, promptly followed by the presentation of a mini coffin of Voodoo Doughnuts. Thank you for letting me be a part of your day, Liesl and Erik!